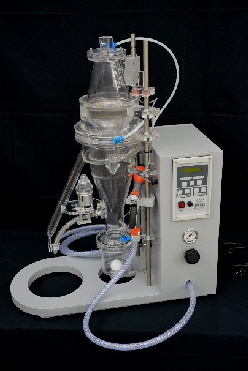 The MEKU Soil sample extractor is a program controlled laboritory device for use in nematology. It works on the principle of the wellknown “Seinhorst”-can and is able to process dry samples as well as wet soil samples. 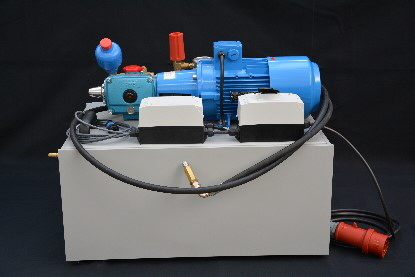 The extractor allows best adaption to various kinds of soil by means of preselectable rinsing time, variable rinsing pause and a high pressure rinsing pump. The device assures reproducibility of test results with optimum separation of cysts and soil parts. The high pressure rinsing pump is controlled by the extractor and effects the separation of the soil sample according to the program flow. Thus even clayey soil may be separated in an economical rinsing period. Due to the precise adjusting possibilities for the different parameters such as pressure, rinsing pause,counter flow and rinsing time, the results will be reproducible. Water consumption is low even when working with the high pressure pump. Maintenance of the device is simple. For preventing obstruction of the collecting sieve when processing fine soil, a water rake may be delivered with adjustable water jets.